Rodrigo Medieros, co founder of BJJ Revolution Team and 4th Degree black belt under Carlson Gracie, visited the Limerick BJJ Academy for the first time in about five years. In previous years we had to travel to seminars and not all from the academy would be able to make the trip with work/home commitments, so it was quite a big deal to have the facility to host the boss. 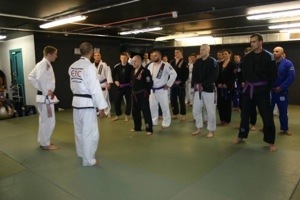 We had a decent showing of students with a mix of white, blue, purple brown belts and our own black belt in attendance. As Rodrigo is a Carlson Gracie black belt, we know that he will focus on the basics and expand from there. He spoke at length about the importance of basics and drills that would create muscle memory. With the evolution of the sport, speed and pressure are the keys to success in competition and with that in mind he told us long term we need to create our own drills that we could incorporate into our own game. So we warmed up with guard passing drills, armbar switches, side control retention drills,open guard drills with inversions and leg drag drills before we moved onto some technique work. So we started with a closed guard smash pass and added a couple of variations depending on the reaction of the opponent which included ending in a leg drag position. We continued with leg drag passing, applying it to open guard, spider guard, lasso guard and De La Riva guard that finished by applying a nasty little choke. We finished up on attacking the turtle position with clock choke variations and an armbar set up that opens up other attacks. 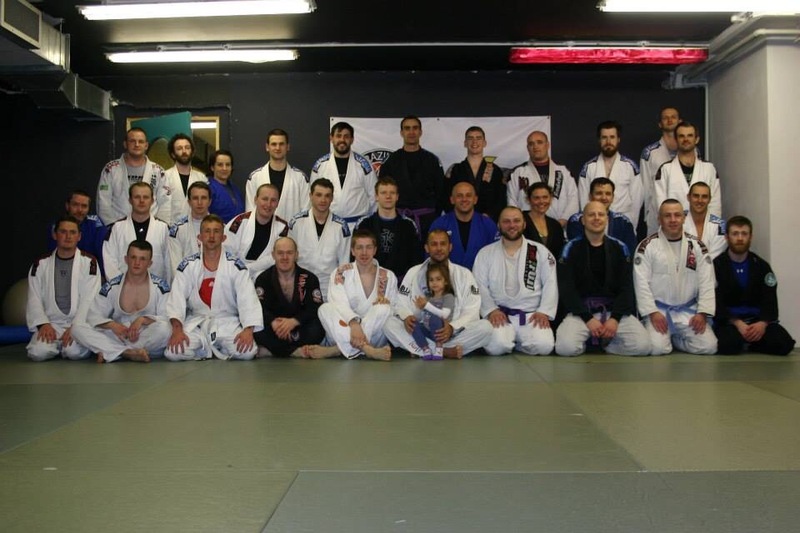 All in all a great seminar that everyone took something from regardless of rank. This is fundamentally the most successful way to train for maximum strength. Kettlebell training, classed as a form of weight training, involves moving a moderate resistance through multiple planes and rotational loading with full range of motion and lock out at the joints. These movements are typically performed in high volume and for duration of time. High volume at moderate intensity strengthens the ligaments and tendons surrounding a joint. This also encourages the production of synovial fluid that lubricates the joint, keeping it healthy and strong. This assistance to joint mobility is often overlooked in conventional training. Tendons and ligaments do not develop as quickly as muscle so the risk of injury is increased if weight is increased before these structures are strong enough. While barbell training promotes max strength gain and hypertrophy, this cannot be said for kettlebell training. Kettlebell training promotes strength and endurance due to the moderate weight being used for extended periods of time (ten minutes in kettlebell sport) This is not conducive to the bodybuilder physique if this indeed is the goal. Kettlebell training increases flexibility, strength and endurance without the added “bulking up” that comes with heavy barbell training. The athlete uses short bursts of ballistic power to generate the movement as opposed to the max time under tension associated with barbells. This makes it an ideal training addition to sports where weight of the athlete is critical and explosive timing is required, such as mma, boxing, grappling etc. 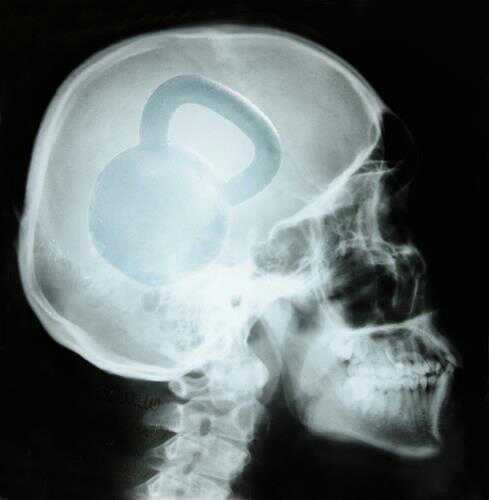 If given the choice, kettlebell or barbell I’d go with kettlebell. True it’ll never replace the barbell for the max strength gains but it suits my goals for the moment. I want to maintain and eventually reduce my weight and increase my strength endurance and resilience that is required for Brazilian Jiu-jitsu. Work out? You don’t work out with kettlebells, I leave working out to the mathematicians and accountants. You train with kettlebells, you learn,you practice and drill, after all repetition is learning. The more you practice, the better you get, the stronger you get, the more efficient you get. Strength is a skill, and skills need to be learned and honed. Learn the basic movements then add the small details that make them work for you. Be it a different foot placement that allows you to get a stronger hip drive to move a heavier bell or a different grip position that doesn’t fatigue the forearms so quick and lets you carry on for longer sets. As you grow more proficient and more efficient with the movements start chaining them together, combining movements, making them a bit more complex but try to make them flow. Combine movements that will naturally flow together for example a swing to clean to squat to press to reverse Turkish get up to negative press to swing and switch hands, the weight is not important but the movement is. Train the movement,then start developing the strength.